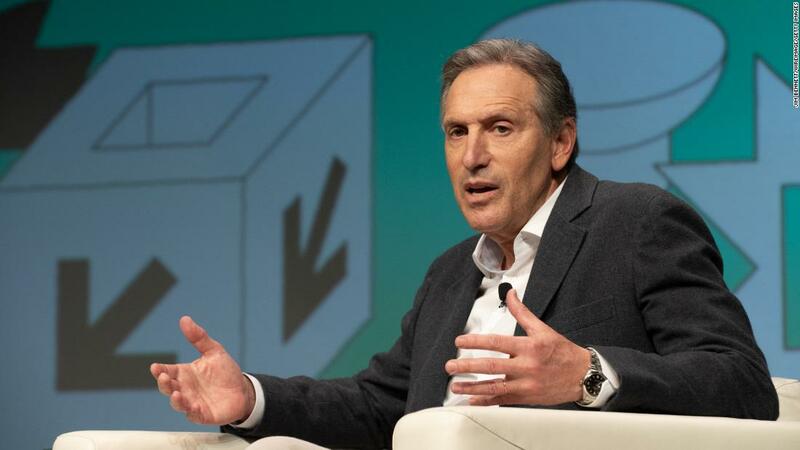 (CNN) Former Starbucks CEO Howard Schultz, a potential independent presidential candidate, apologized Thursday for claiming that he had “probably” spent more time with the military than any other 2020 candidate over the last decade. Buttigieg isn’t the only 2020 presidential candidate with a significant military background. Rep. Tulsi Gabbard of Hawaii, who is also running, joined the Hawaii National Guard in 2002 and volunteered to deploy in 2004, serving two tours of duty, including in Iraq. Schultz had appeared on conservative commentator Hugh Hewitt’s radio show earlier Thursday, telling the host, “I probably have spent more time in the last decade certainly than anyone running for president with the military.” He cited a series of visits to military bases and friendships with retired Adm. William McRaven and retired Gen. Stanley McChrystal. Buttigieg — a lieutenant in the Navy Reserve who was deployed to Afghanistan in 2014 — had earlier shot back at Schultz’s claim. “I remember a Green Beans Coffee at the exchange at Bagram, and a decent espresso machine run by the Italian NATO element at ISAF HQ. But I don’t recall seeing any Starbucks over there…”, the mayor tweeted, hours after Schultz’s interview.